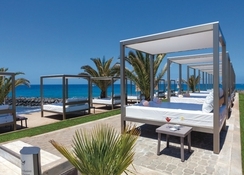 Hotel Riu Palace Tenerife is a beachfront 4-star hotel in Costa Adeje in Tenerife, which is one of the most beautiful islands in the Canaries, Spain. 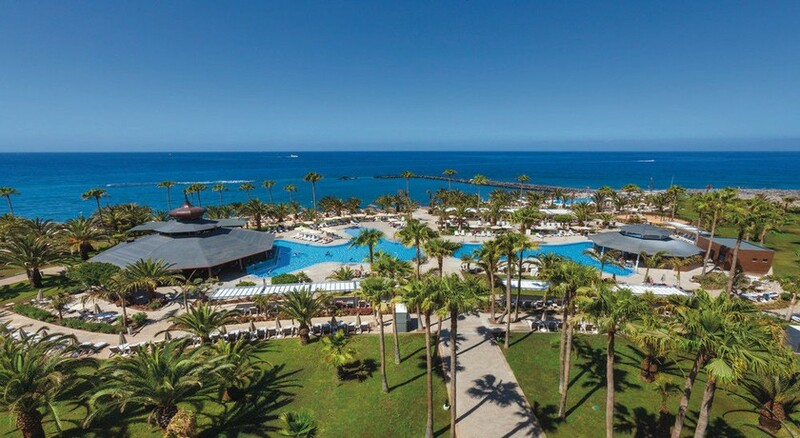 Based in a mountain and sea setting, this hotel in Tenerife provides an opportunity to enjoy the breath-taking views of the sea and volcanic slopes near the beach. The stunning beach of Playa del Duque is only 150 metres from the hotel and can be reached in 20 minutes, providing a great opportunity for families and couples to enjoy the calm relaxing atmosphere of the sea and participate in beach sports. The Tenerife South Airport is 22 km away from the hotel. The Hotel Riu Palace features two large outdoor swimming pools, an infinity pool with Balinese beds, a kids' pool, a heated indoor pool and a wellness centre offering massage, sauna and beauty treatments. Sports and leisure activities include two tennis courts, billiards, golf and much more. The Hotel Riu Palace has been awarded with GOLD certification for the Travelife Sustainability System for taking care of the environment. 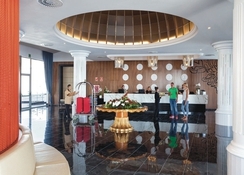 Hotel Riu Palace Tenerife offers more than 300 guestrooms spread over 5 floors in the main building. These are categorized as Individual Room, Large Double Room, Large Double Room with partial sea view, Large Double Room with sea view, Family Room (2 Bedrooms) and Jr. Suite with sea view. All guest rooms are fully equipped with air-conditioning, satellite TV, private bathroom, balcony or terrace with view of the surroundings and all other essential room amenities. There is also Wi-Fi facility, hairdryer and a rental room safety locker. 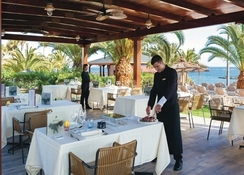 The hotel offers great dining options, including buffet breakfasts on the terrace with amazing views of the sea. 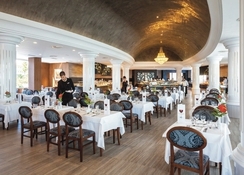 The main buffet restaurant serves dinners with dishes such as roasts, salads, fish, steak and many more veg and no-veg options. The Krystal Restaurant is open for evening meals and requires early reservation. Additionally, there is a themed restaurant where 3 dinners are offered on alternate days and requires no early reservations. 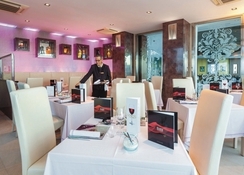 A variety of Spanish and vegetarian dishes are served at the restaurants. There is a lounge bar, pool bar and a lobby bar where guests can enjoy light snacks and local drinks. There are 2 large outdoor swimming pools, an infinity pool with Balinese beds, a kids’ pool and a heated indoor pool. The guests are provided with loungers, cabins, towels and parasols around the outdoor pools so that they can relax under the sun. Other facilities include a sun terrace solarium, table tennis bar and a gym. Other sports facilities having additional charges include: one lighted hard-surface tennis court, one lighted artificial-grass tennis court and billiards. 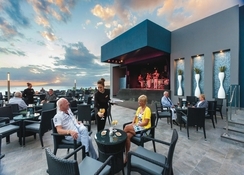 The entertainment team at the hotel organizes many live music shows several times a week. The hotel also includes a spa centre offering massage therapies, beauty treatments and many other services. Other sporting options near the hotel having local charge include water sports, rental bicycles and golf courses. Guests can also explore the major attractions of the island such as Teide National Park, Corona Forestal Nature Park and the Los Gigantes cliffs.